FIFTY-TWO STEVENS is located at 52 STEVENS ROAD in district 10 (Bukit Timah, Grange, Holland) of Singapore. FIFTY-TWO STEVENS is a Freehold Condo development consisting of 20 units. FIFTY-TWO STEVENS is completed / TOP in 2012 (estimated), developed by TANG CITY HOMES PTE LTD.
Educational institutions like CHINESE INTERNATIONAL SCHOOL, ISS ELEMENTARY & MIDDLE SCHOOL, SAN YU ADVENTIST SCHOOL, SINGAPORE CHINESE GIRLS' PRIMARY SCHOOL, ANGLO-CHINESE SCHOOL (PRIMARY) and ANGLO-CHINESE SCHOOL (JUNIOR) are near to FIFTY-TWO STEVENS. 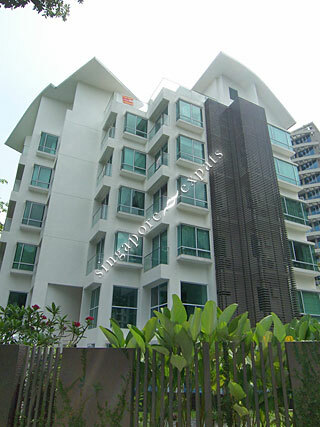 FIFTY-TWO STEVENS is accessible via nearby STEVENS, NEWTON and ORCHARD MRT Stations. There are routinely faults across the building including (but not limited to) lift failures, cleanliness of the building, and long delays in fault resolution when it is resolved. been living there for over 18 months and instead of seeing improvement, I have seen an abandoned property with almost no maintenance and no tenants left. I am moving out this month. I would like to point out that the condo is really noisy as well with Stevens Road Traffic and the low quality building structure. Overall, as a resident for nearly 2yrs, I am very disappointed at how the management team have contrived to turn a good opportunity into a very bad experience. Would not recommend. Good location for local family and expat who are relocating to Singapore.